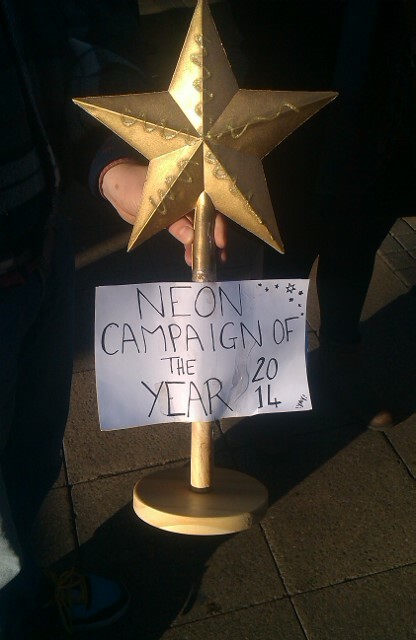 Some great people involved in NEON came down to the stall on Saturday 13th December to present the campaign with their special hand made award. Thank you. We are delighted to receive this award and recognition. We accept as part of the Radical Housing Network and for all those struggling for decent homes for all.